Chocolate Works is Australia's premier supplier of customised chocolate products for the Australian corporate, promotional product, hospitality and special event industries. We have been supplying customised chocolate products for over a decade. We are now proud to present our retail products on line store. 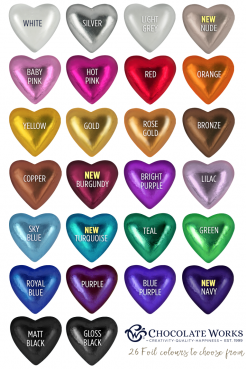 We stock an enormous number of different chocolate designs that are sure to suit your next event. New shapes and designs will be constantly added so remember to come back to our store often to see new chocolate designs that have been added.